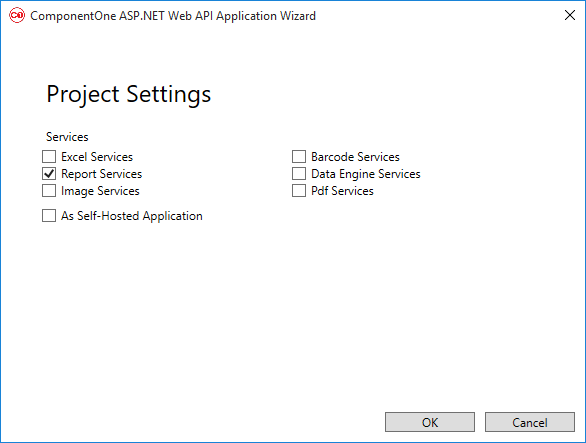 Web API Studio Edition provides Report Services that enables you to build HTTP services, which can be consumed by a variety of clients for viewing, loading and caching FlexReports and SSRS reports. These are REST based API services, which communicate with HTML 5 ReportViewer control to display the report content on the web. You can view a variety of reports in the HTML5 based ReportViewer control, mainly FlexReport and SSRS reports. Available as Visual Studio template, C1 Web API enables you to create reporting services on Visual Studio. Client applications send a request to the report service applications to load reports, export reports, and allow users to use parameters in the report. The service supports exporting your reports to PDF, Excel, HTML, RTF, OpenXML, and Image.